The finances didn't work out, so the parent company's last surviving alternate weekly is back on the market. A proposal to sell The Portland Phoenix alternative weekly newspaper to one of its employees has fallen through. The plan “is not going to move forward,” said Everett Finkelstein, chief operating officer of The Phoenix Media/Communications Group, which owns The Portland Phoenix. Finkelstein said Tuesday that the proposal, which first became public about a week ago, fell apart over finances, but he declined to provide more details. He said the parent company would now try to seek another buyer or pursue other options, which he declined to specify. Finkelstein said the parent company was initially set up to run back-office operations for all three Phoenix publications, combining functions such as human resources and accounting. That structure no longer makes sense, with the company down to just one paper, he said. He would not say whether The Portland Phoenix was profitable on its own. 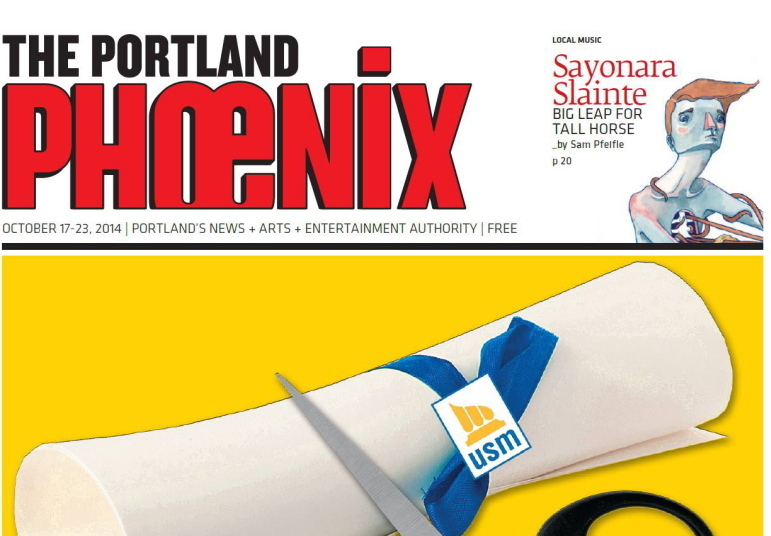 The possibility of an employee or employees buying the Portland weekly surfaced last week, shortly after The Phoenix Media/Communications Group announced that it was closing the Providence Phoenix, which published its last issue Oct. 17. The company closed its flagship Boston Phoenix in March, but said at the time that the Portland and Providence papers would continue to publish because they had lower cost structures. The announcement of the closing of the Providence Phoenix didn’t include any information about the future of The Portland Phoenix, but Finkelstein said later that a possible sale to employees was being explored. Stephen Mindich, chief executive officer of The Phoenix Media/Communications Group, said at the time that the 49-year-old Boston Phoenix was closed that alternative weeklies were facing the same problems afflicting mainstream newspapers and magazines – declining print revenue and rising costs. Last week, another longtime alternative weekly, the San Francisco Bay Guardian, closed after 48 years of publishing, citing the same issues. Finkelstein initially indicated the plan being explored was to sell to the employees – there are seven full-timers at The Portland Phoenix – but he clarified Tuesday that the talks were with an individual employee, whom he declined to identify. John Marshall, the manager of the paper, said he knows which employee was exploring the purchase of the Portland Phoenix, but he declined to identify the individual. Marshall said employees at the paper aren’t especially surprised that it is up for sale, given the closings of the Boston and Providence papers. Marshall said he expects the fate of The Portland Phoenix to be decided quickly as well, probably within a month or two. “Things tend to happen quickly in this company,” he said.